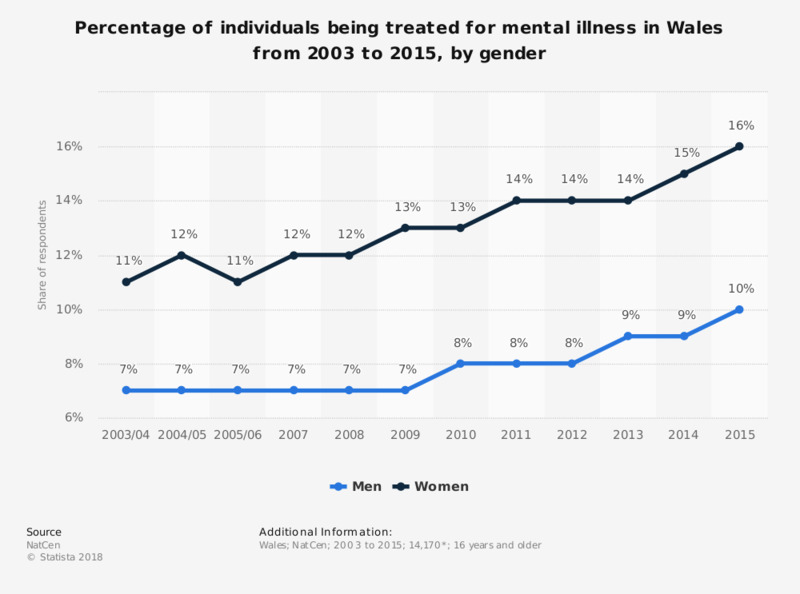 This statistic displays the proportion of individuals being treated for any mental illness, by gender in Wales (United Kingdom) from 2003/2004 to 2015. In the year 2009, seven percent of men and thirteen percent of women received treatment for mental illness. - from 2007 the fieldwork runs on a calendar year basis. - bases vary: those shown are for the whole sample.